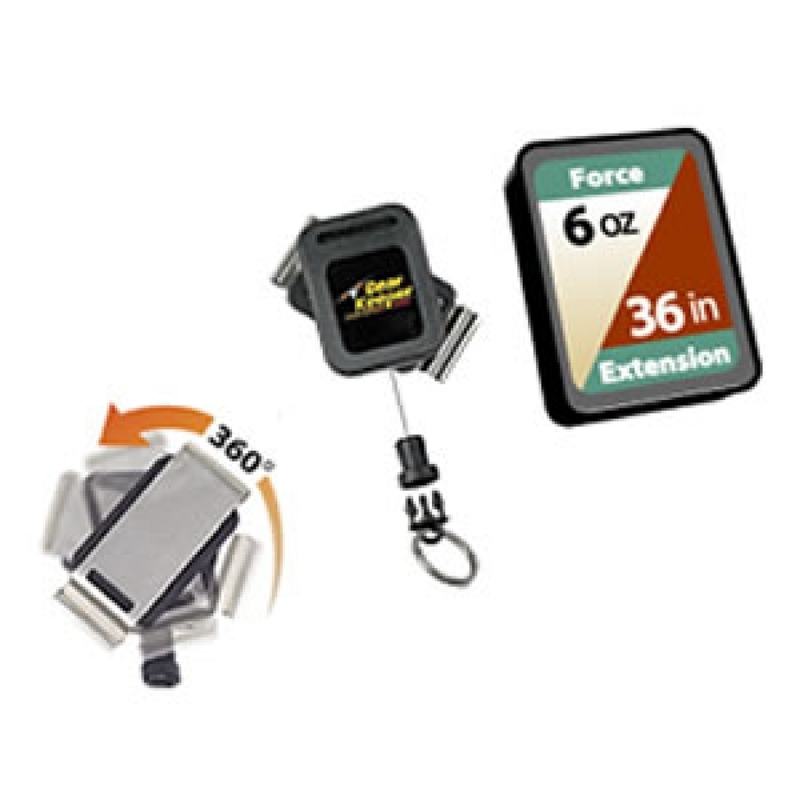 Finally, a Key Retractor That's Built to Last! Top-notch construction: special high flex line, rotating mounting system for minimal line wear and interlocking belt clip for secure mounting. Available in five forces for the perfect fit, whether you carry 1 key or 30. 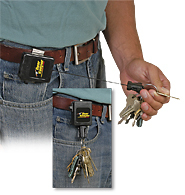 Hold Gear Keeper in palm of one hand and slip metal tang over edge of pants or belt. Then, pull retractor away from body to clear plastic tang. Slide Gear Keeper into place.